Been here before, I'll be here again, I'm sure. "Some flowers only grow in the low places..." OK, fine, I'll look for the flowers. I've been wondering again lately, how a person with so much going for him (read: me), could feel so spent. It's like every area of my life is just so tiresome, I want to, literally, walk away from it all. But where to? Nowhere to go. And no reason to, to begin with. It's like erosion at the sea shore, I guess. The waves, individually, don't amount to much. Given enough years of steady drubbing, the effects can be pretty stark. Church, work, home life, acting class, the blog, my hobbies (gaming, reading, music)... about the only thing that doesn't feel like all the juice has been wrung out of it is the BTI web series... it's like my lifeline at the moment. Nothing else makes sense any more. Nothing to do but ride it out. Ebb and flow, eh? Again, been here before. Have to find the lessons and move on. Still, you should see me, lol, sitting in my office on the floor at 2am, staring at the wall like some kind of zombie, hoping the ball of fire in my chest subsides long enough for me to drift fitfully off to sleep... it's kind of pathetic, in a way. Still, there's no denying something is going on. Not sure how to deal with it. Ignoring it does nothing. Berating myself about it also doesn't help. Praying about it doesn't help. Sleeping helps! I wake up in the morning, and the edge is off it. Of course, it doesn't last long before it's back again. Honestly, I don't know what to do. Having my dad restring my guitar for me. Maybe getting back into playing guitar will help. I'll figure something out. Maybe once we start filming, things will fall into place. I enjoy it. So this idea of "denying yourself"... it's making less and less sense to me. So God gives us abilities and interests and gifts... but if we're spiritual, we deny ourselves instead? Tell me the logic in that. Does He give us these interests and abilities to enjoy and use? Or to despise and deny? How is it a spiritual act to "pour out" a drink that God has set before us? In other words, are we supposed to enjoy life, and the things He's wired us to enjoy doing? Or deny ourselves and treat life like a slog? How is denying oneself spiritually beneficial? It used to make sense to me... now, not so much. Maybe I'm tired of feeling guilty for wanting to enjoy life... acting, writing, watching movies, playing Minecraft, reading books, listening to a variety of music, drawing, hanging out with people... if I enjoy doing these things, does that somehow mean I'm less spiritual, as opposed to "denying" them instead? I'm tired of having to view life as a day-to-day breath away from disaster. At church, our Pastor has been saying for decades now that "war and bloodshed and disaster is right around the corner! Prepare! No time to be frivolous! Pray! Live "wire-tight" before God!" 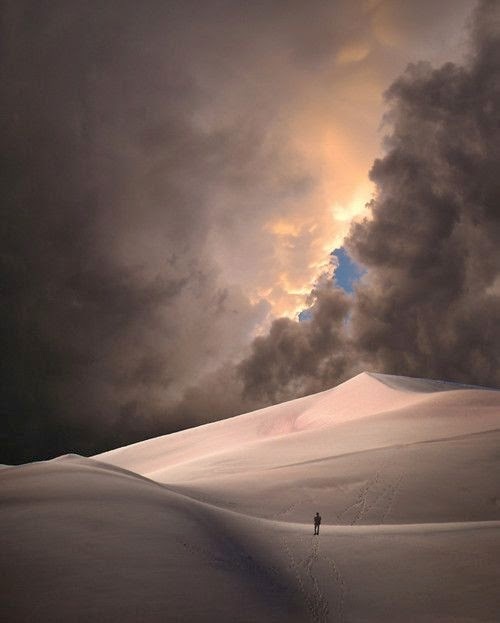 In the interim, years and years go by, looking around like a prairie dog, waiting for some dreadful thing to happen, praying to be spared... and all this stuff I could have been doing and enjoying the whole time is undone. Deny yourself! I'm not saying I should "indulge" myself, like some glutton or hedonist... but why squirrel myself away, waiting for the shoe to drop, feeling guilty for enjoying something simple and fulfilling? Why is it more mature to take a gift God has given me, turn right around and give it back, saying I don't deserve it? Why is "denying myself" preferable? What's the fruit? I'm probably making a mess out of my thoughts here. 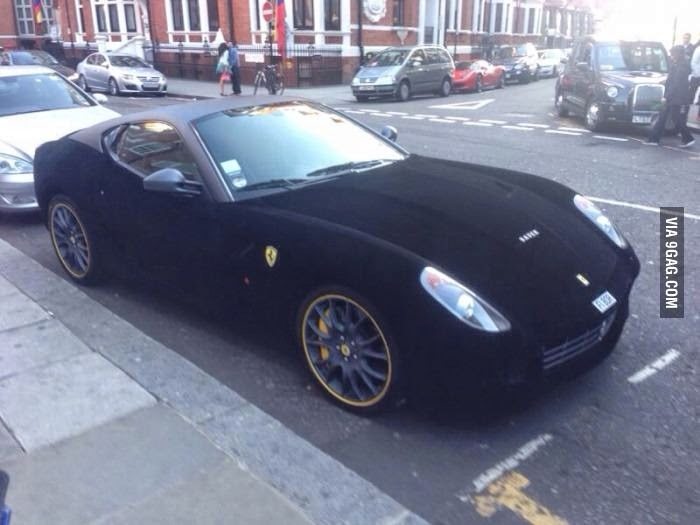 Here, a velvet-covered Ferrari. Now all is well again. I happened across your blog some how typing in a different, David Wagner I do know personally. But your blog looked interesting. Then I started reading. Much of what you posted here strikes a chord with me. For example, just yesterday, I was complaining about my girlfriend, and how it scares me that it will not work out. I've been dwelling on how I feel she is too soft on her 3 teenage boys. Ends up the coworker I was complaining to was a poor choice of people to confide in. Lesson learned. Another example is how I am getting "antsy" again. I regularly feel restless and want to throw in the towel and start over - with my whole life. Quit my job, sell my condo, break it off with my girlfriend, and just go search for a new life. One thing that helps me, is, sometime ago, I began marking my calendar when this feeling arises. It ends up it is pretty regular, for me. I get into a hole, or a pool, of self pity and restlessness. I wonder if this is the life I want. Is this all there is? I wonder if there's more to life than 8+ hrs sitting in front of a computer just to pay taxes and the mortgage and save for retirement. I choose to believe its a biochemical thing, like PMS for women. Perhaps its a lunar cycle. And its then easier to believe it will pass. Another thing that has helped me, is writing a gratitude list, that includes good & bad things in my life. I learned this from Melody Beattie's book, "Make Miracles in 40 Days". Without writing a long response, that's my 2 cents. I find it fascinating that I ran across your blog and this post today, and am feeling very similar to what you wrote. I try to focus on the things I'm grateful for - I have a long list. It helps and it doesn't... for me, sleep and creating things in Minecraft seem to be the only things that take the edge off of it. But actually, just realizing someone else knows what I'm going through means a lot - kind of caught me off guard. It's not like I figured I was the only one - in theory, I knew others must be out there somewhere. But having someone just randomly stop by and say what you did, means a lot. I really appreciate you dropping by, and taking the time to comment.